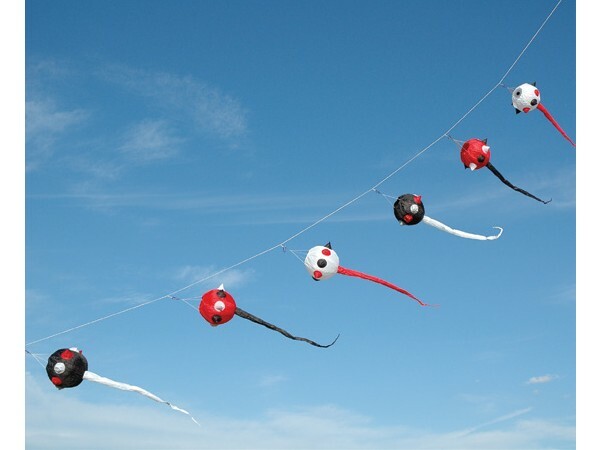 Three dimensional wind inflated balls with 6ft tails for medium size kites. 6 individual spikey balls which rotate in the wind. Lift with 9ft Delta or Large Power Sled for instance. Carabiner connectors and storage stuff-bag included.